A new discovery published this week in eLife and National Geographic has extended the human family tree. Anthropologists have found a new species of hominid that could be a stage in human evolution on the way to modern day Homo sapiens, or might just be a kind of cousin to our family line. The species has been named Homo naledi after the bones of about fifteen individuals were found in a nearly-inaccessible cave in South Africa called Rising Star (the word naledi means star in a local dialect). The story of their discovery is well worth reading. These pre-humans were small—about five feet tall and 100 pounds or so—and with skulls less than half the size of ours (including brains the size of an orange). Exactly where H. naledi fits into our history no one knows because scientists haven’t found a reliable way to date the bones. 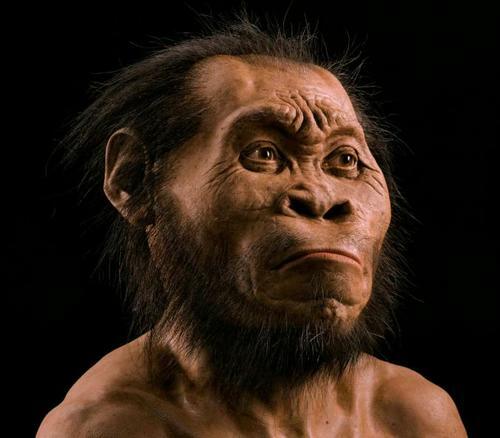 Their bodies have some features that are very much like modern humans, and others that are quite primitive, so they could be a kind of ‘missing link’ between Australopithecus afarensis and the much more humanlike Homo erectus that lived a million years later. Or they could be a relatively recent sideline species not directly our ancestors at all. Just when we think we’ve got things figured out, some new discovery shakes it all up again. Another example comes from 1977 when hydrothermal vents on the seafloor—often called black smokers—were first found to support thriving communities of living organisms. Huge colonies of crabs, lobsters, mussels, tubeworms and other species exist where no sunlight has ever reached thanks to chemosynthesis (as opposed to photosynthesis in plants) using the chemical energy of sulphide compounds released from within the Earth. Until then the accepted idea of how life began on our planet involved a mix of chemicals in the so-called “primordial soup” of the early oceans somehow combining into organic molecules. But now many scientists feel that the chemosynthetic bacteria of the black smokers—and especially single-celled organisms known as archaea—are not only the most ancient form of life on Earth, but also the most abundant. Taking a science fiction writer’s perspective on such pivotal discoveries made me think of Mars. Because data from modern Mars rovers and other spacecraft could easily lead us to believe that we’ve got the Red Planet and its history figured out. Sure, astronomer Percival Lowell was wrong when he thought he saw artificial canals on Mars in the early 1900’s. But that doesn’t mean there was never life there, or even advanced life. The generally accepted view is that there was abundant water on Mars in its early history, but the planet has been drying out for the past 3.5 billion years. Since the wetter period coincided with the time that the very first primitive single-celled life developed on Earth (archaea), it’s thought that any life that once existed on Mars must have been very basic. Never sophisticated, never intelligent, never conscious. (Here’s a good comparison of the geological timelines on the two planets.) But if scientists are still making discoveries on Earth that shake up our understanding of our own planet’s history, how much more could remain undiscovered on Mars? We’ve literally only scratched the surface. Maybe intelligent life took three billion years to evolve on Earth, but that doesn’t mean it has to take that long everywhere. We still have a poor understanding of what consciousness really is and how it works, let alone how it develops. We assume that sentient life didn’t develop on Mars because we know how long it took on Earth and our photographs and rovers haven’t found any evidence of artificial constructs there. Since the surface of Mars is about equivalent to the entire land mass of Earth, it’s a little early to assume anything. Maybe a Martian civilization did arise long ago and all obvious traces have been erased by erosion. Maybe they moved out into space and we’ll eventually discover their trail as we explore that territory ourselves. Or maybe they invented digital computing way back when and uploaded themselves into massive databanks powered by tapping into the planetary core. Perhaps millions upon millions of Martians still live within computer simulations like the characters in the Matrixmovies, except with no physical bodies at all. Sure, it might be a far-fetched science fiction scenario, but if there’s one thing science should teach us, it’s never to let ourselves get complacent. New discoveries still happen all the time.